The Amsler vision test examines the retina. 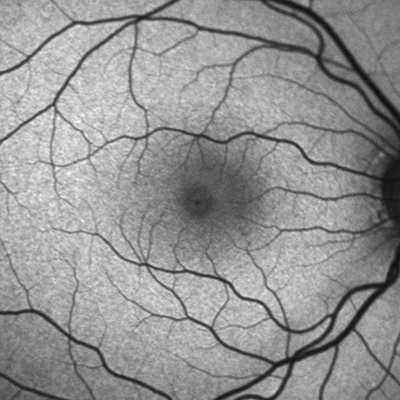 The objective is early detection of diseases in the center of the retina (macula). With macular degeneration, only the central visual acuity of the eye is completely or partially lost since only the center of the retina is affected, the visual field on the sides remain unaffected. 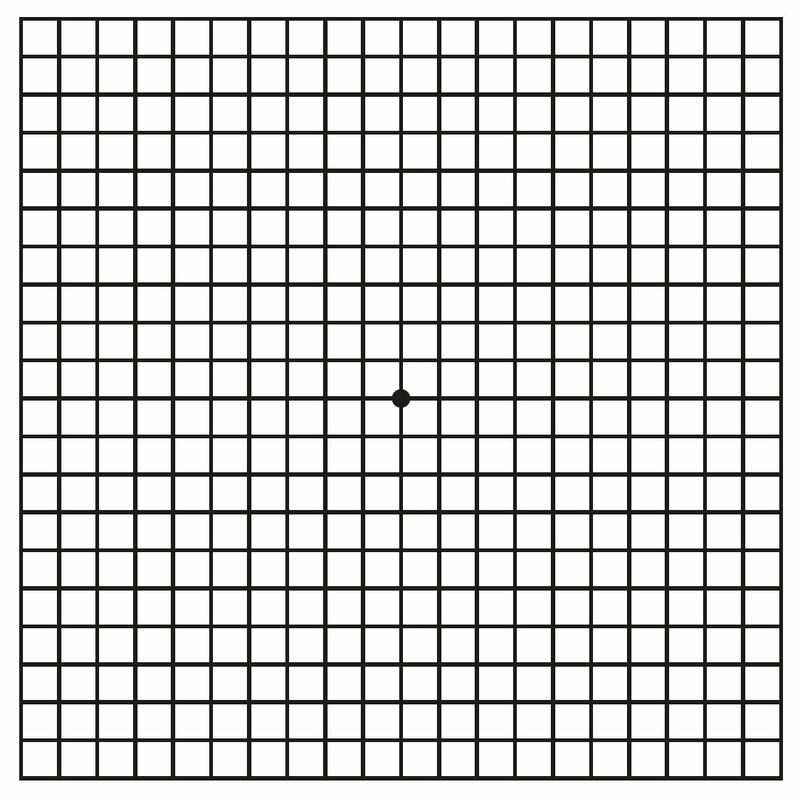 The Amsler Grid* is a simple test you can perform regularly to monitor your vision and detect changes in your visual acuity early to enable treatment at an early stage. If you need reading glasses, wear them during the test and look at the grid at your normal reading distance (approx. 30–50 cm). 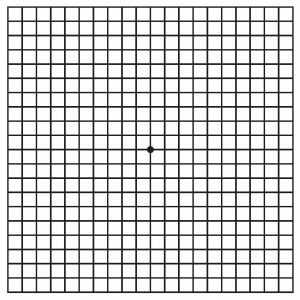 Look directly at the black dot in the center of the grid. When doing so, pay attention to whether all the lines of the grid are straight or whether they are distorted, wavy or blurred in some areas. Repeat the procedure with the other eye. If any of the lines appear distorted or blurred, please consult your eye care specialist and describe the results. You should repeat the test at regular intervals (once a month). *This test assists in the detection of early changes in the central part of the retina. However, it doesn‘t replace a professional eye exam. For a reliable diagnosis, contact your eye care specialist.